UPDATE: On 15 March, the Chair of the Human Rights Subcommittee (DROI) of the European Parliament Pier Antonio Panzeri, released a statement calling for the release of Atena Daemi and Golrokh Ebrahimi Iraee as well as for them to receive medical attention. UPDATE: As of 9 March 2018, human rights defenders Atena Daemi and Golrokh Ebrahimi Iraee are being held in a quarantine section of Shahr-e Rey prison in the town of Varamin. It is not known exactly when they were transferred from Evin prison, but it has been reported that holding conditions of the human rights defenders are poor, with only salty water provided, and that they are still wearing the clothes they wore upon arriving at Shahr-e Rey prison. 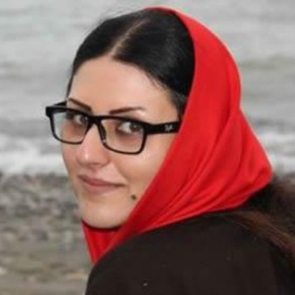 As of 9 March, Golrokh Ebrahimi Iraee, who suffers from severe muscular pain, had been on hunger strike for over one month (35 days), and has reportedly been forcibly given IV fluids since her arrival to the prison. Front Line Defenders is deeply concerned at the renewed crackdown on human rights defenders (HRDs) in Iran and in particular at recent reports of the ill-treatment of HRDs Atena Daemi and Golrokh Ebrahimi Iraee in Gharchak prison. On 03 February Atena Daemi and Golrokh Ebrahimi Iraee announced that they were refusing food in protest of their removal to Varamin’s Qarchak Prison. They are demanding their return to Evin Prison’s women’s ward. Atena and Golrokh have stated that they will start with a wet hunger strike but will extend this to a dry hunger strike if their demands have not been met inside one week. 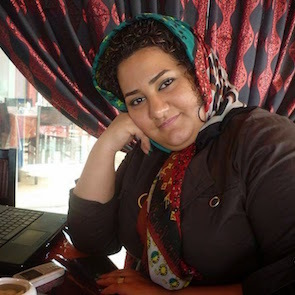 On 28 January the Prosecutor’s representative in Tehran’s Evin Prison announced that Atena Daemi would not be returned to Evin Prison. At 6:30pm on the evening of 24 January 2018 agents came to the women’s ward of Evin Prison and told Atena and Golrokh that they needed to come with them to the prison’s office in connection with new charges. Instead, the two women were taken to Ward 2-A, controlled by the Revolutionary Guards, and one of the female guards tried to beat them. She was stopped by other guards who said they did not want to beat Atena, then five other guards came and attacked Atena and Golrokh. At 9:30pm that night they were taken to Gharchak Prison, in the city of Varamin, 37 miles south of the capital. Atena and Golrokh had previously been ordered to appear at Branch 4 of the Revolutionary Court in Evin Prison in early January 2018 for allegedly insulting Supreme Leader Ali Khamenei and reciting a political poem in prison. But the two refused, stating they had not been summoned in writing which is the proper legal procedure. Since November 2016 Atena has been serving a seven year sentence for the charges of meeting the families of political prisoners, criticising the Islamic Republic of Iran on Facebook and condemning the 1988 mass executions of political prisoners in Iran. Golrokh, an accountant, began serving a six-year sentence in October 2016 for “insulting the sacred” and “propaganda against the state,” primarily for writing an unpublished story about stoning that was confiscated during a raid of her home by the Revolutionary Guards. The raid was initially organised against Iraee’s husband, civil rights activist Arash Sadeghi, who is serving a 19-year sentence. Front Line Defenders reiterates its call for the immediate and unconditional release of Atena Daemi and Golrokh Ebrahimi Iraee. The organisation also demands that they be returned to the womens’ ward in Evin Prison and that there be an investigation into the attack on the two HRDs.